Well-deserved reputation – this is the assessment for Han Suk-Kyu who returns to the TV screen for the first time after 16 years. 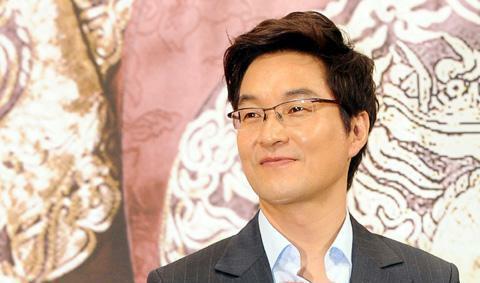 Han Suk-Kyu is starring in the role of King Sejong in SBS Wednesday and Thursday TV series Deep Rooted Tree. Deep Rooted Tree drama is adapted from historical mystery novel of the same name by Lee Jeong Myeong, describing the serial killings of scholars in Hall of Worthies in the seven days leading to the day of issuance of “Hunminjeongeum.” The drama currently has ratings approaching 20%. King Sejong played by Han Suk Kyu is quite different from King Sejong we normally understand. It’s not the perfect image of monarch the usually appear in the biography of great men, but a “flawed” saint who was tired of all the red tape, and had plenty of discontent. And even said foul words like “madman” and etc, and in order to study farming, personally participate in fertilization. All these may be accused to be over-acting, but it’s not been rejected by the viewers, thanks to natural and fine acting by Han Suk Kyu.